Texas hold’em has spent years as the de facto version of online poker. You can consider alternatives, such as Omaha poker or seven-card stud, but Texas hold’em has a firm grasp among online poker sites. So, if you are new to the game, then sit back to get run-through of how Texas hold’em works. The rules are initially quite straight-forward to grasp and follow through over a few hands. It’s very much the head-to-head competition with your opponents that make Texas hold’em so challenging to win. However, that is where strategy comes into consideration, but first it is vital to cover the rules. • Dealer/button: in real life, the dealer starts with the button, but online the button will be placed on one of the players. • Small blind: this player sits immediately left of the dealer and places a bet that is half the value of the current blind (essentially, the current minimum bet). • Big blind: sitting left of the small blind, the big blind is required to stake the full value of the minimum bet. • Two hole cards: at this point, all players shall receive two hole cards. Left of the big blind will decide whether to call, raise, or fold. • Blinds revisited: the betting comes all the way back to the small blind, who must call or raise to stay in, while the big blind can check (do nothing) or re-raise. • The pot: all bets made by the players shall be pooled into a central pot that can be won by the ultimate winner at the end of the game. New to online poker? Be sure to check out our Gambipedia.com’s Online Poker Guide for beginners. • The flop: after burning a card (setting it aside), the dealer will then lay down three community cards that are shared in the middle of the table. • Small blind: betting shall resume to the left of the button, with the small blind having the options of betting, checking, or folding. However, it isn’t logical to fold whenever they can elect to check for free and see how others intend to play. • Betting continues: the betting proceeds around the table, with players betting or folding. Re-raises can continue until all betting has been squared up and the round comes to an end. • The turn: the dealer burns another card, but this time only adds one more community card. This means that players now have two hole cards and four community cards with which to form their strongest hand. • Small blind: again, the small blind or left of the dealer will start the round of betting. There can be checking, betting, raising, or folding, depending on the decisions made by players. • The river: the dealer burns another card before presenting the final “river” card. There will be no more community cards added to the middle of the table. 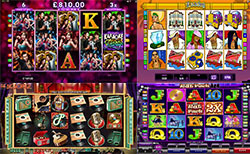 • Betting continues: the current remaining player to the left of the dealer (looking clockwise) will start the betting. Players can bet heavily if they have a great hand or they can even bluff if they feel an opponent has nothing. All of the betting will be matched up before cards are shown or if a player folds their hand. • Royal flush: 10, jack, queen, king, ace from the same suit. • Straight flush: five cards in numerical order and of the same suit. • Four of a kind: four matching cards. • Full house: five cards from the same suit. • Straight: five cards arranged in numerical order. • Three of a kind: three matching cards. • Two pair: two sets of two matching cards. • One pair: two matching cards. • High card: the highest card held by a player. In tournaments, the aforementioned process of playing hands shall progress until one player has taken all of the chips from their competitors. • Play for free: try not to stake any funds when learning how to play Texas hold’em. • Go easy: stick with the beginner tables and tournaments in the early days. • Don’t get distracted: you might miss out on a key betting decision. • Avoid overpaying: try to avoid paying to see cards when you have weak hands (e.g. 2-8 unsuited would be especially bad for paying the big blind).